The IIC is MIT's premier Future of Work prize. We award over one million dollars to entrepreneurs using technology to drive economic opportunity for workers. The 3rd Annual IIC is a global tournament, launched in five regions — Europe, Latin America, North America, Africa, and Asia — in March 2018. Visit MITinclusiveinnovation.com. Announcing the 2018 IIC Global Grand Prize Winners! The winning organizations were selected by the IIC Champion Committee from 20 Regional Winners in Latin America, Asia, Africa, Europe, and North America. THE NEW NEW DEAL: Six ways the government could tackle economic inequality and job creation in the techno-turvy future. Join the Movement. Stay up to date with the IIC. We live in perhaps the greatest age of technological innovation in human history. Yet many people are not experiencing the benefits of this progress, despite actively seeking to more fully participate in and benefit from new educational, financial, and work opportunities. While jobs that were once pathways to guaranteed prosperity have dramatically changed or disappeared, we believe that Inclusive Innovators, wielding technology as a tool, are creating solutions to this challenge today. By reinventing the future of work, Inclusive Innovators are empowering people to improve their income and participate more fully in our rapidly evolving digital economy. In each year of the Challenge, we discover the groundbreaking solutions that are reinventing the future of work to create greater shared prosperity today. In our second year, we expanded our applicant and judging pools, prize purse, and global impact by celebrating 16 Inclusive Innovators at a gala event. Twenty-four Winners from around the world received one million dollars in our inaugural year. Many organizations and individuals are increasingly focused on Inclusive Innovation, shared prosperity, and the future of work as paramount topics to address in today’s digital economy. We are fortunate to have the support of leading changemakers in this space. 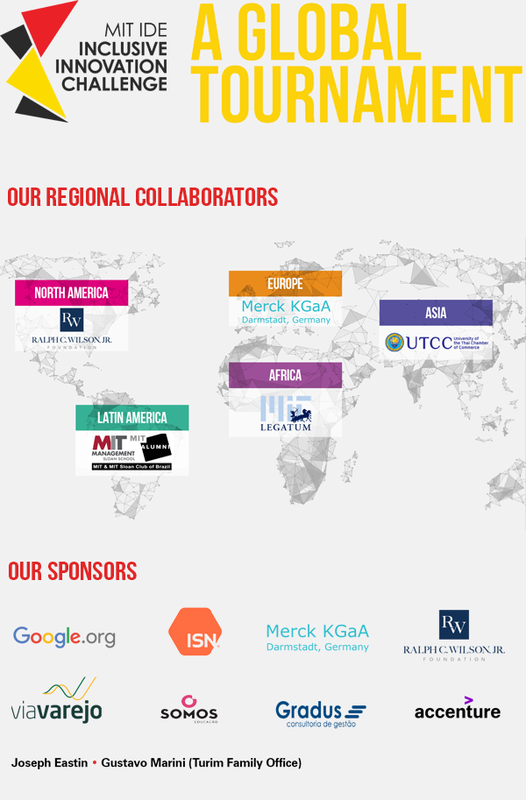 Our sponsors’ engagement as regional collaborators, judges, outreach partners, media collaborators, and financial supporters has made our expanded and more inclusive global tournament possible, broadening our impact on the Inclusive Innovation movement. Thank you!